The lighting of the Christmas Tree is one of the top traditions of the holiday season. 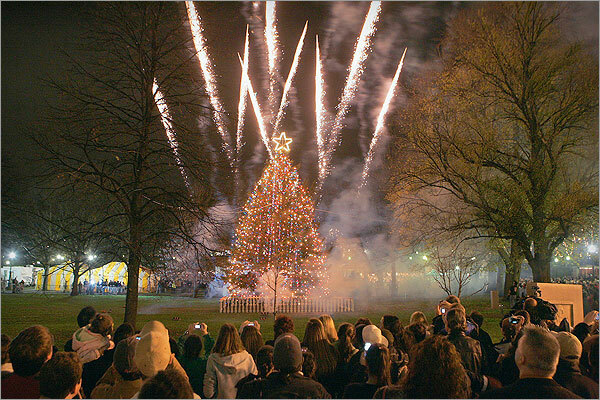 We've rounded up our top 5 Christmas Tree Lighting Ceremonies from around New England below. Don't see your favorite ceremony in this list? Add it in the comments! 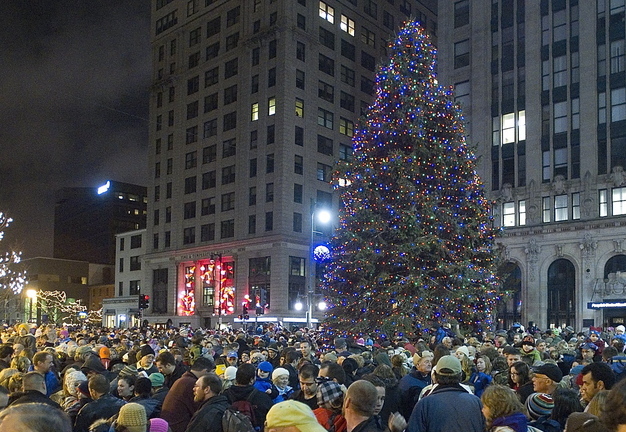 Come up to Maine's largest city to take in the classic tree lighting right in the heart of town in Monument Square. This fun family event takes place every year on the Friday after Thanksgiving. Arrive early to explore the Old Port's fantastic shops and restaurants and be sure to grab some hot cocoa in one of Portland's many small cafes before heading to the festival. Live music by Maine artists makes this a not to miss event. Details here. Santa visits this beautiful northern Vermont town just in time to kick off the peak of the holiday season. The parade kicks off at noon and the day features live music and other festive entertainment throughout the downtown area. Be sure to plan a full day for this fun way to get into the spirit. Details here. This year marks the 73rd anniversary of this not to be missed Boston celebration. Making this lighting extra special is the fact that our neighbors to the North, Nova Scotia, actually give the Christmas tree to the city of Boston each holiday season. Canadian Mounties and Officials will join Boston's Mayor and other community leaders on this festive day. In addition, you can expect to wrap up the evening with a pyrotechnics display. Details here. The Christmas in Newport Celebration is an annual event that kicked off in 1971 to honor the noncommercial traditions of the holiday season. From the classic Christmas Tree Lighting to visits from old St. Nick to helping decorate a local brewery, you're sure to find something fantastic for each member of your family. Details here. One of the most unique holiday traditions we've found in New England. Join Santa and his elves aboard this 80 minute train ride through the back country of New Hampshire. Hot chocolate and cookies included as well as a gift for each child. This is definitely something you and your family will not forget! Details here.